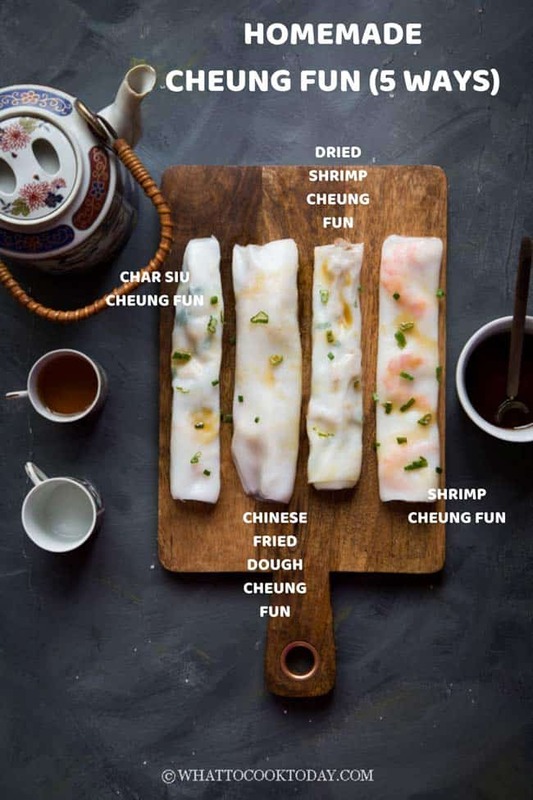 Learn how to make cheung fun easily at home using tools you already have in 5 ways: plain cheung fun, shrimp cheung fun/har cheung, dried shrimp, char siu cheung, and zha leung cheung fun. 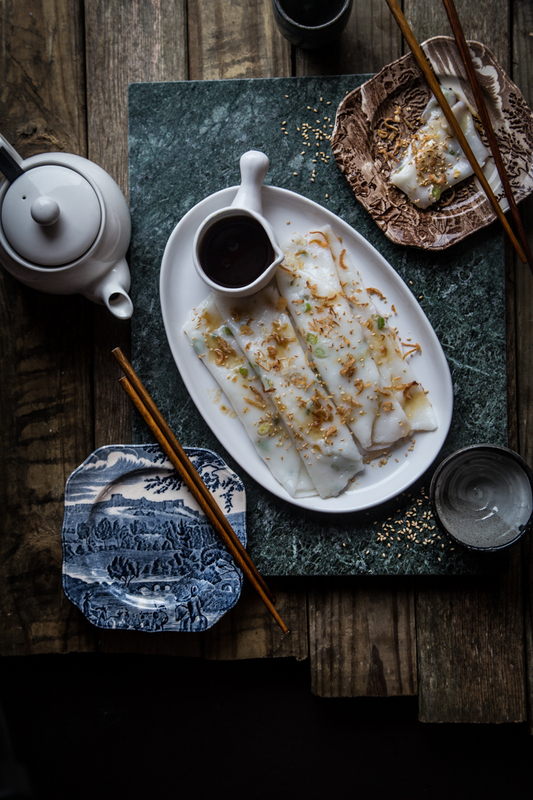 Cheung fun or known as 腸粉 (Chang Fen) is one of those foods that we must order every time we go for a dim sum. 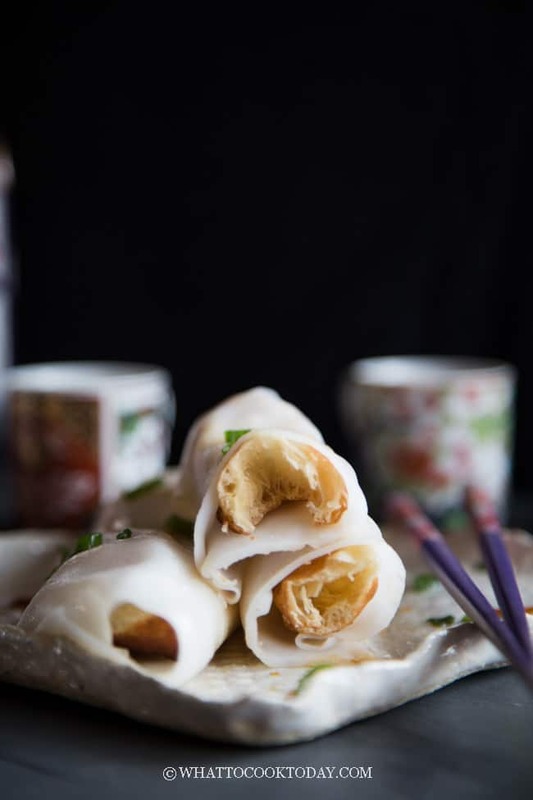 Dim sum is the Cantonese term for a type of Chinese dish that involves small individual portions of food, usually served in a small steamer basket or on a small plate. It’s been my obsession trying to get the texture of the cheung fun right and I finally did it! 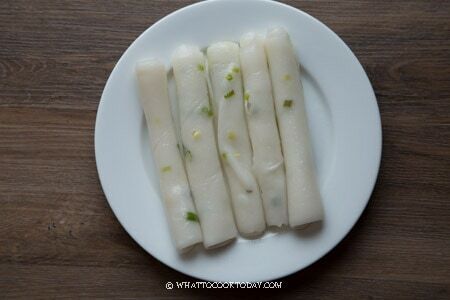 I’ve been feeding the family many rounds of cheung fun from all those experiments and they gave big approvals on this recipe I’m sharing here! 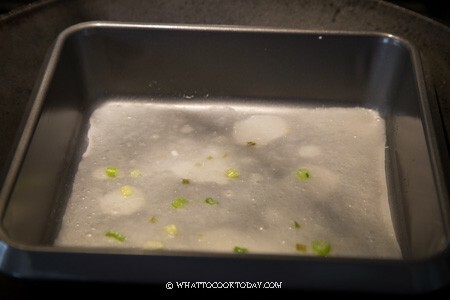 I use a non-stick square baking pan I got from Target for $5 bucks to steam the cheung fun and it works wonderfully. 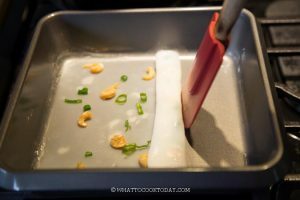 The cheung fun doesn’t stick to the pan and I can steam the next roll right away without having to scrape or clean the pan. 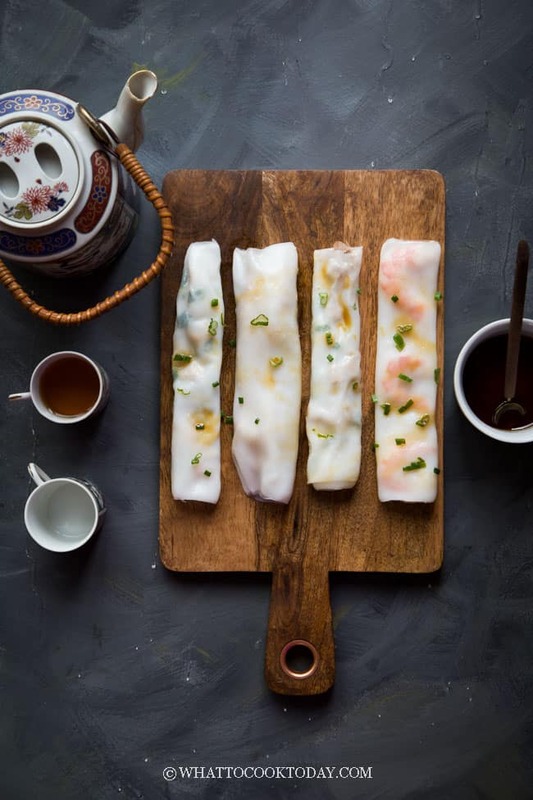 Traditionally, cheung fun is made by lining a tray with wet cotton steaming cloth. The batter is poured on top of the cloth and then steam. 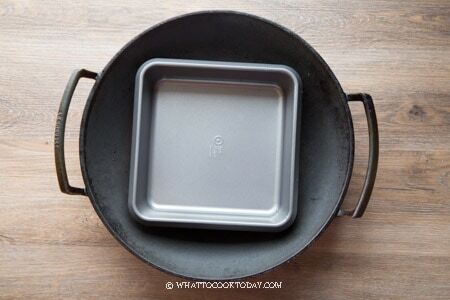 Here’s the easy version using square non-stick cake pan, trivet, wok or large pot that can fit your pan. 12. 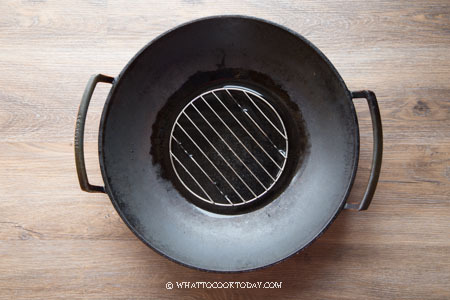 Put the empty pan back into the steamer and steam for another 2 minutes. 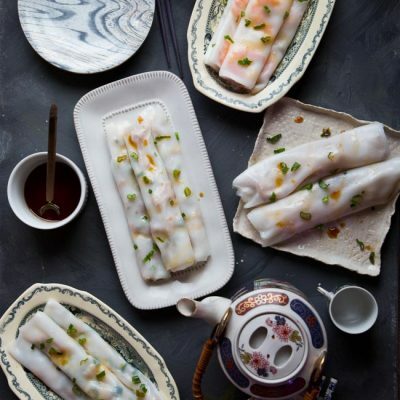 Repeat this before steaming the rice rolls. Trust me, it’s worth the effort! 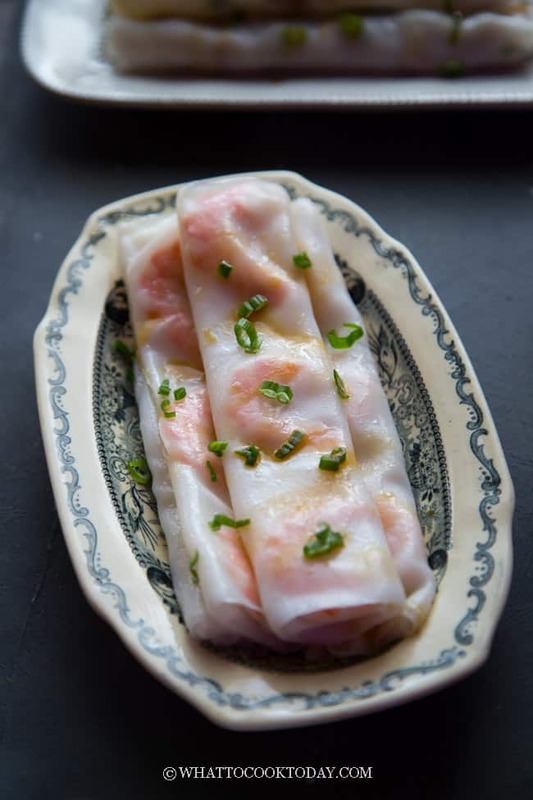 Once you have a good basic recipe for cheung fun, they can be altered by adding filling like shrimp, dried shrimp bits, char siu, Chinese crullers. Some people like to use beef mince too. 1. 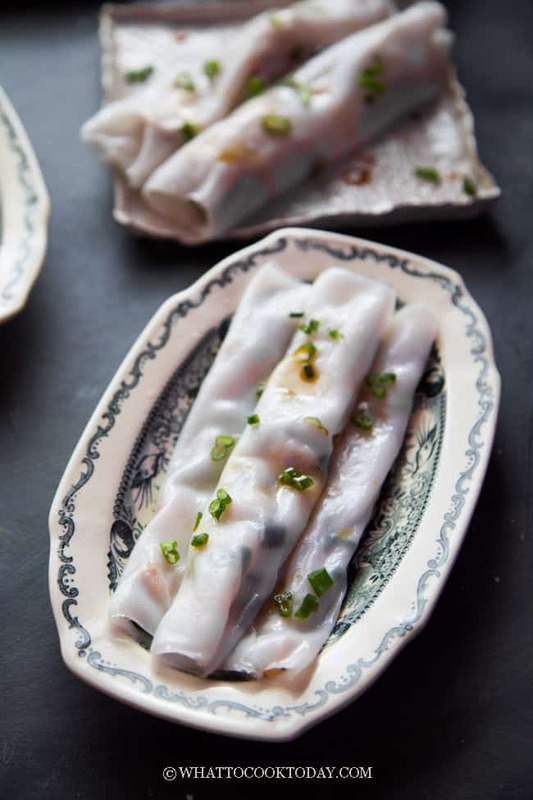 Making cheung fun is not difficult, but it can be time-consuming. So make sure you do have the time to spare for this project. 3. You most likely need to refill the water in the steamer after steaming few rolls. 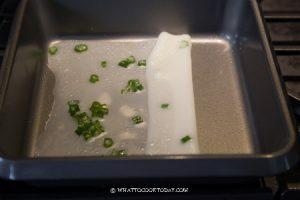 You can refill the water and make sure to bring it back to a boil again before steaming the cheung fun. 4. 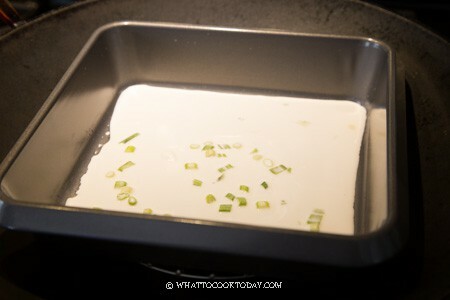 Make sure you give the batter a REALLY good stir before ladling it up each time. This is very important or the cheung fun won’t turn out right. 4. 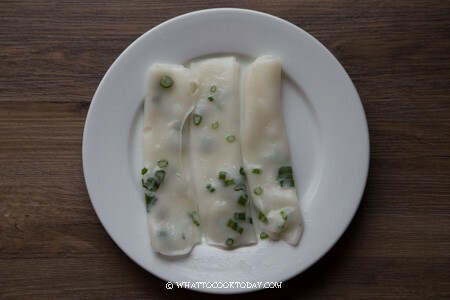 Cheung fun needs to be steamed over high heat for 4-5 minutes or they will be sticky and mushy. 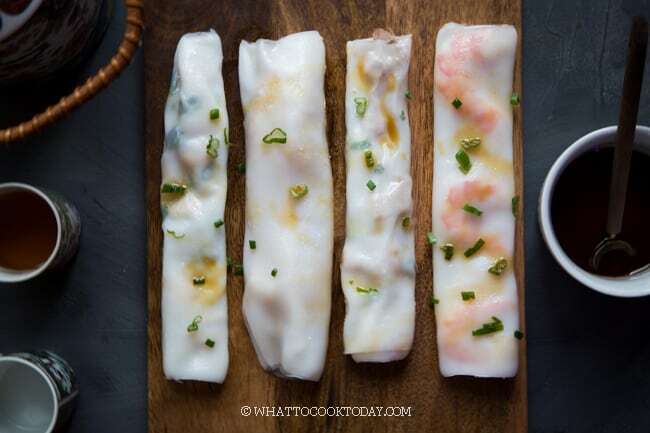 You can store leftover cheung fun in the fridge for up to 3 days max, with an exception on the zha leung cheung fun. 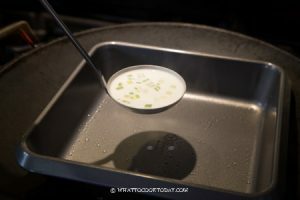 The you tiau in there will definitely get soggy and it is best to be consumed the same day they are made. 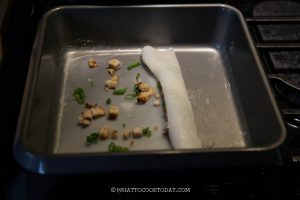 Cheung fun tends to harden after refrigeration. 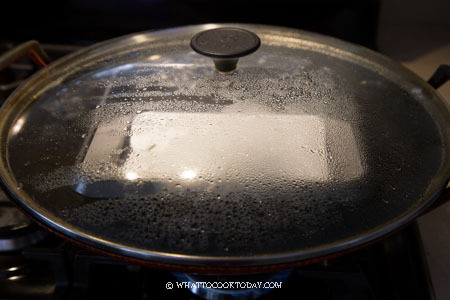 You can simply reheat it by steaming over high heat for 1-2 minute and it will be as good as new again. 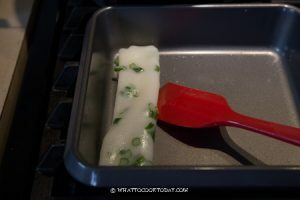 I do not recommend freezing cheung fun as the texture will deteriorate. 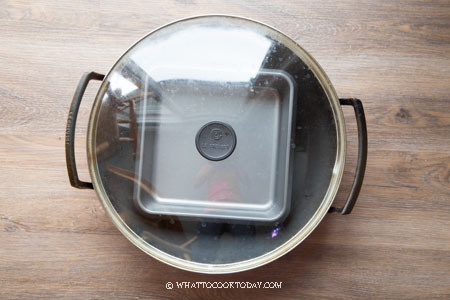 Put the empty pan back into the steamer and steam for another 2 minutes. 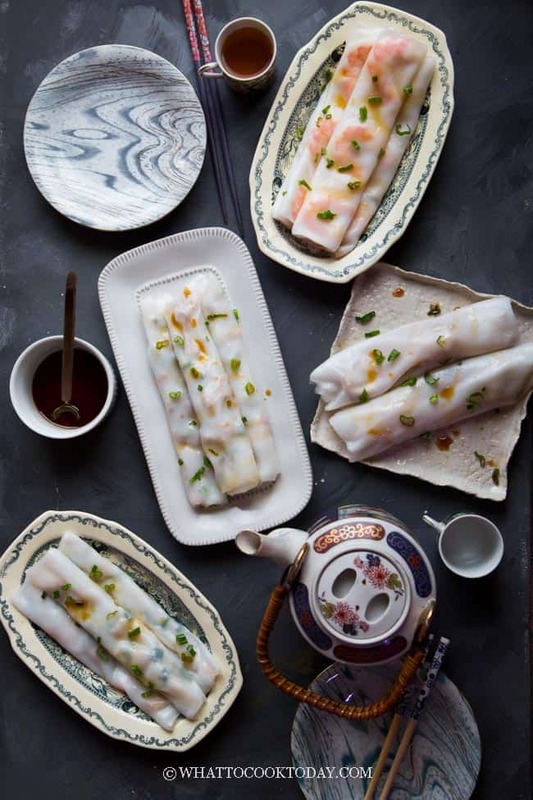 Repeat this before steaming the rice rolls. Trust me, it’s worth the effort! 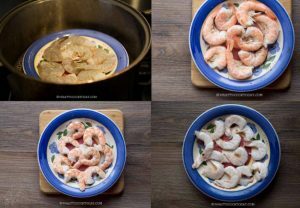 Soak dried shrimp in hot water for 5 minutes or until soft. I’ve been wanting to make these for the longest time! 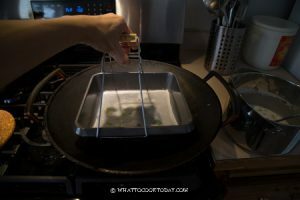 Thanks for the recipe-will bookmark! Great! hope it turns out well. Once I made it, the next time it gets easier and easier! I’ve bookmarked your page too 🙂 Thanks for stopping by! I have been trying to make this for so long. I keep failing. Thanks for the tips. Hi Joy, no worries. I failed few times before too to get this far. Wow this recipe seems to be impressive. I am not sure how many salt (there has to be salt right?) i put in this?! Tomorrow the grandparents of my girlfriend come to my house and i want to try this recipe. Thanks a lot for sharing this, exactly what i searched for. It’s 1/4 tsp of salt into the flour mixture. Hope you enjoy the recipe. my grandma is gonna make this recipe. 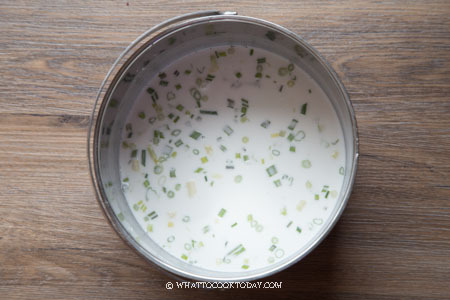 Is the rice flour glutinous or not? Tiffany, it’s a regular rice flour, NOT glutinous rice flour. Hope that helps. love your recipe. Finally my cheong fun doesn’t smell starchy anymore thanks to you. Keep up the good work! Hi. Been to Canton before and this is my fave morning snack. 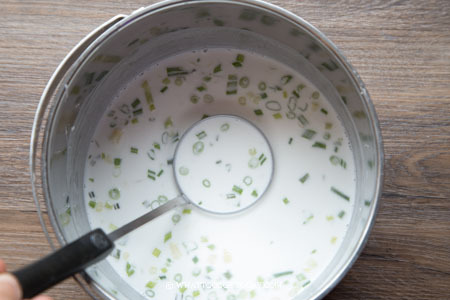 Been looking for the recipe for a while now one that doesn’t involve tapioca flour.Tried it, turned great.Duo xie. Hello…I’m so glad you enjoy it. Thank you so much for letting me know. Yum! These look so good! Thank you for this, How difficult can this be”, yet I have done this twice, still not happy.. I can’t believe that there are so many ways to do this, fry, steam and even microwave. 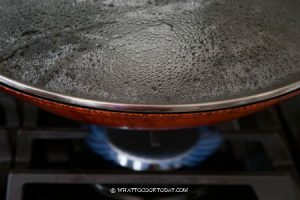 I am a cast iron cook and do crepes on these pans with success.. So I used my cast iron, even a no stick pan and each crepe stuck!! I was so tempted to add an egg to the batter! Lol The steaming method worked better, I used two casserole dishes, but found after each baking, had to clean and scrub the pan.. Hmmm! Not giving up yet as the results were delicious just not pretty to look at! I have watched so many videos on this! 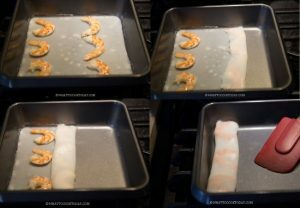 I am determined to make this, I just saw some one using saran wrap over a steaming tray. 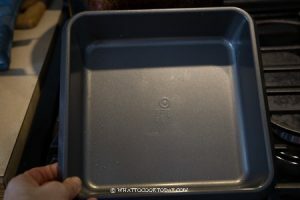 What kind of 8″ pan did you use.. did you clean after each roll.. I hear you though. It’s simple yet difficult at the same time ha..ha..! I failed miserably few times. I’ve tried cooking on pan and I would NEVER attempt that again. It worked so well for some folks though, just not me! Steaming method works for me too. I’m using 8-inch Baker’s Secret round cake pan I got from Target. It works really well for me. 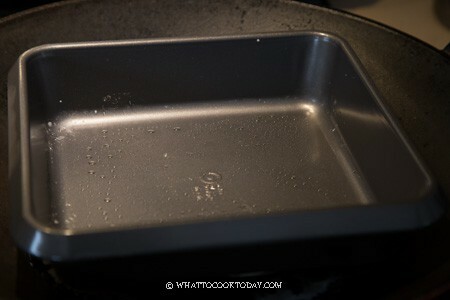 If you have square one that’s better, neater when you roll 🙂 I use a rubber spatula to kind of scrape off the extra starch that kinda glued to the pan and then brush with some oil again. That’s about it though, I didn’t clean with soap and water for each round, too much work! But, yes, scraping them off each time gives better result for me. I hope it will work out for you soon!!! You can do it! So nice to have friends who work at restaurants 🙂 I sure hope it works out for you this time! It gotta be! Hi, I am so excited to see this recipe!!! 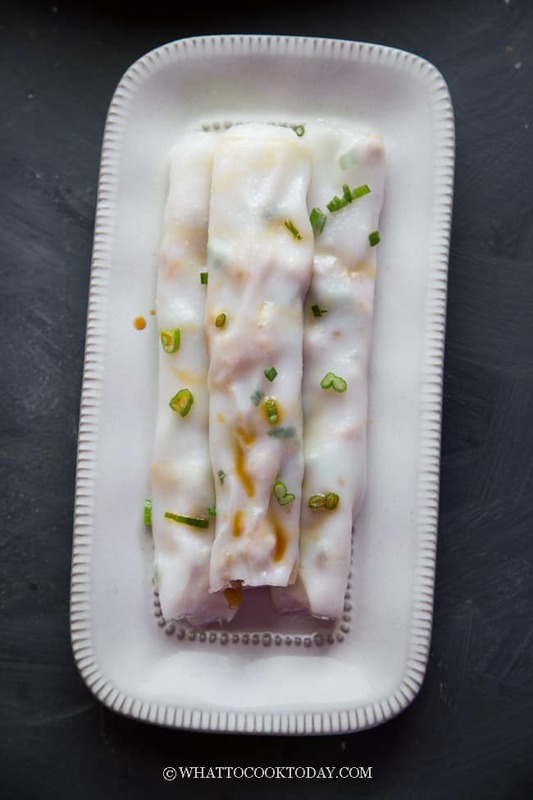 I live in South Asia now and I miss things like cheong fun so much. Cannot wait to try this. But can you tell me what you mean by “regular” rice flour? The kind of rice flour we have here is probably from something like basmati, or maybe the kind of rice used in dosa. It seems a bit more coarse than what I would expect for the texture of cheong fun. Should it be very smooth like cornflour, or does it feel almost like wheat flour? Could you please describe the texture, and maybe provide a picture of the packet? We have different Chinese and Korean grocery stores here, I could look in there if I have a more specific name and description. Thank you!!! I have to take a photo of it next round, I don’t have it with me now. Hope that helps! Fantastic, thank you so much!! Fantastic recipes, work very well with my Convotherm Combi Oven. 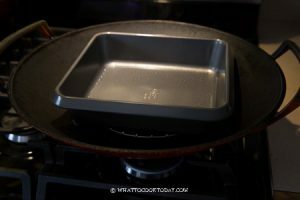 Using non stick gastronomy pan it work perfectly without any grease on it. Thank you so much. Hi, could you please give me an idea how to keep the done rolls warm until I’m done with the rest of them? When you mention soy sauce for the sauce..what kind of soy sauce is that? 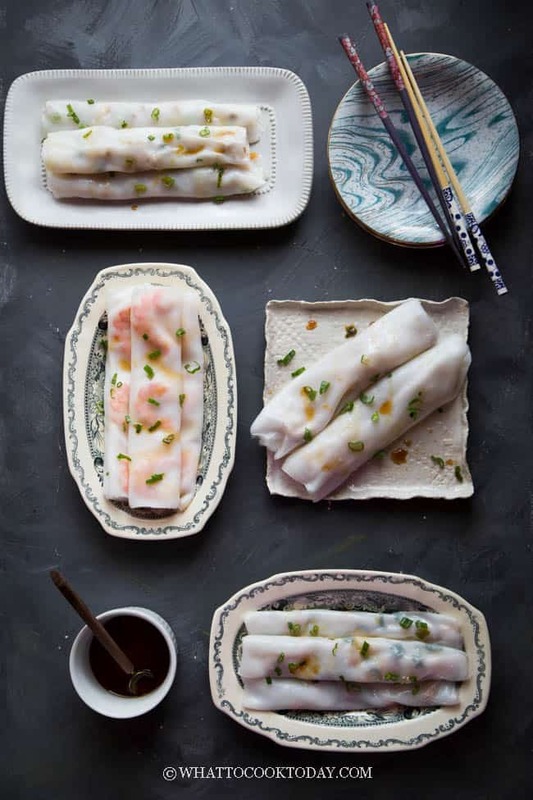 Cause in my country there are lots of soy sauce from light salty soy sauce to thick sweet soy sauce..so which one is the best for this recipe? Hello, it should be regular light soy sauce, not the thick type, or dark thick one, or sweet one. Hope that helps!